After a delicious Turkish breakfast at our favorite little Old City place, Kucuk Ayasofia Cafe, we arrived at a nondescript little pump house. 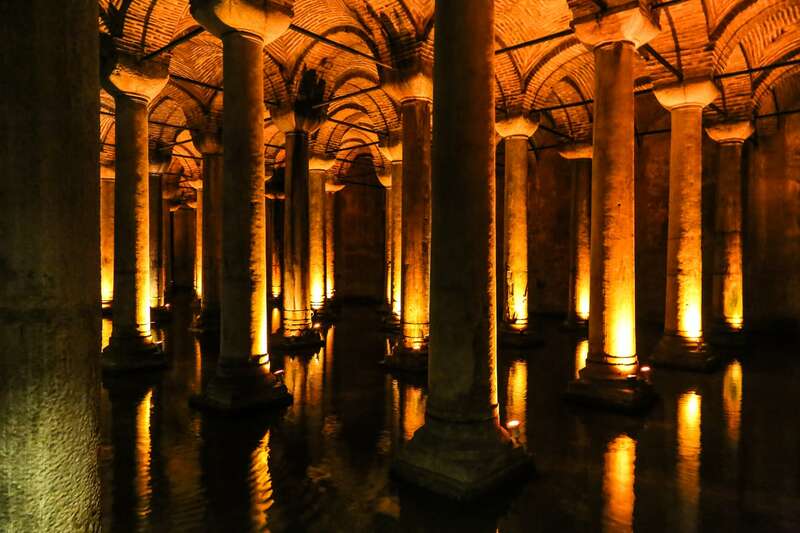 From the road, you’d never know that this is no ordinary historic structure, but the gateway to descending into Sultanahmet’s ancient and mysterious underworld. 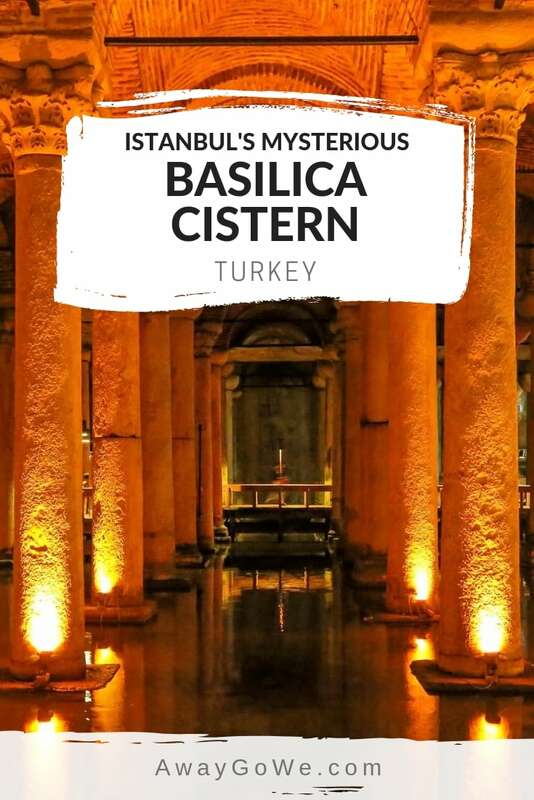 In more recent times, the Basilica Cistern has appeared in the 1963 James Bond film, From Russia With Love, and 2009’s The International, though it is neither under the Russian/Soviet embassy nor beneath the Sultan Ahmed Mosque as both films suggest. 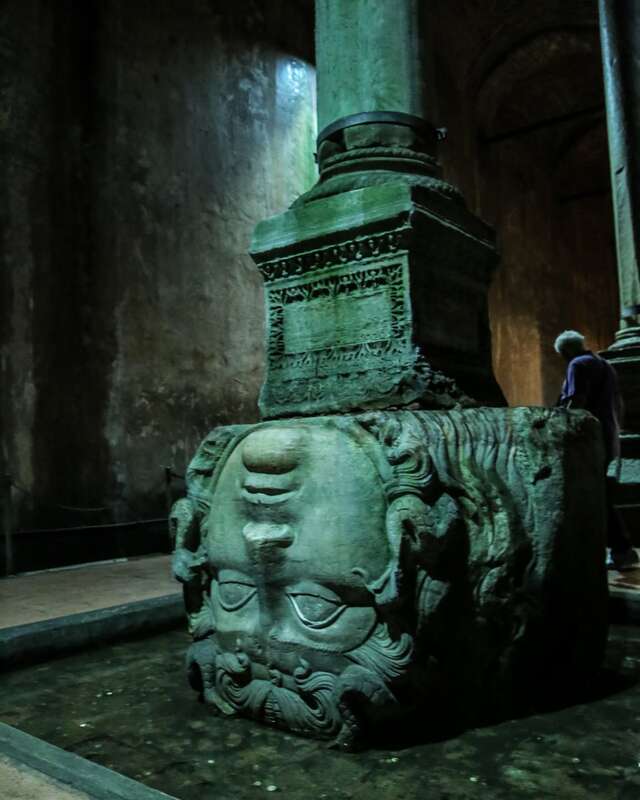 Today, we’re fortunate to have the crypt-turned-cistern-turned-tourist-attraction largely to ourselves, which is a minor miracle in the UNESCO quarter in August. But it’s midweek, and perhaps most importantly, it’s early! We managed to get in just as they were opening things up. 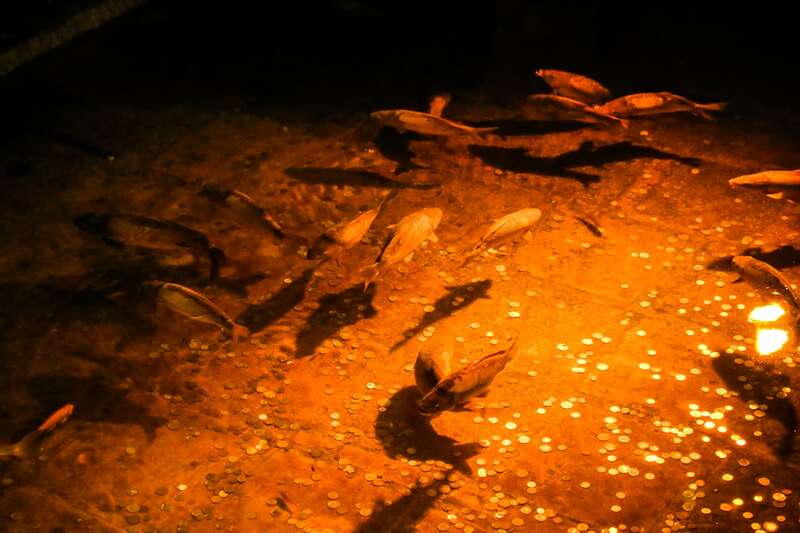 It’s apparent a lot of work has gone in to preserving, but also presenting this unique subterranean historical site. 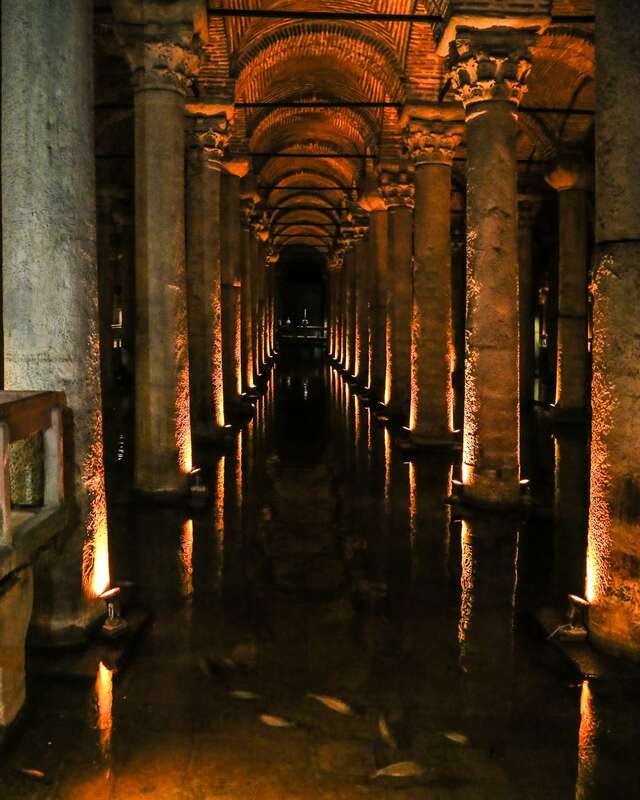 Given it’s history and age, it’s quite amazing how well-preserved the Basilica Cistern actually is. 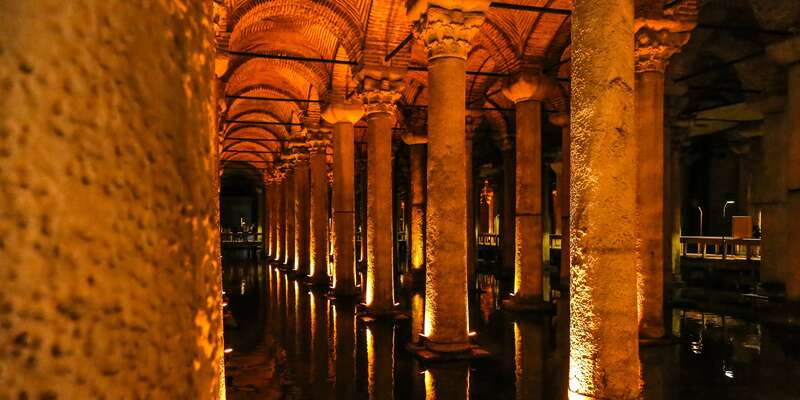 One can’t help but be awe-struck, and dare I say a bit creeped out, by the vast, dimly-lit, water-filled labyrinth that evokes a time and place that few above-ground structures do in Istanbul.